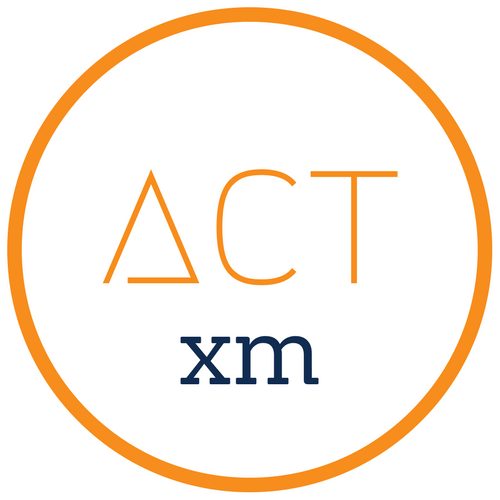 Act XM’s core purpose is to help your organisation understand what drives customer and employees’ behaviours. We understand that organisations have different needs and are at different stages of their CX journey. So, we start by listening to you to build a solution that fits you. Our flexible approach means we can add value to your organisation at any stage of the CX journey. As ex-Qualtrics employees’ we have taken many customers through the journey of successfully getting value from Qualtrics platform. As experienced researchers and CX practitioners we design the tools that give you the insights to act on feedback. Knowing where to start and making sense of the different options can be overwhelming. Act XM helps you define your XM program priorities and organise concepts in a clear and simple way. Experience management goes beyond a measurement. It is about identifying the drivers that impact the business, and Act XM knows how to do it. To gain a sustainable competitive advantage you must act on feedback. Act XM delivers data insights and culture change solutions to drive action across the organisation. We design and deliver custom training solutions on Qualtrics platform. Your team will learn about research best practices and how to use the tool.